1466. Kaercher, P., B. Militzer, and H. R. Wenk, Ab initio calculations of elastic constants of plagioclase feldspars, Am. Mineral. 99, 2344-2352 (2014). 1465. Lutterotti, L., R. Vasin, and H. R. Wenk, Rietveld texture analysis from synchrotron diffraction images: I, Powder Diffr. 29, 76-84 (2014). 1464. Zepeda-Alarcon, E., H. Nakotte, A. F. Gualtieri, G. King, K. Page, S. C. Vogel, H. W. Wang, and H. R. Wenk, Magnetic and nuclear structure of goethite α-FeOOH: A neutron diffraction study, J. Appl. Cryst. 47, 1983-1991 (2014). 1463. Mandal, M., F. Haso, T. Liu, Y. Fei, and K. Landskron, JOURNAL High yield synthesis of solution processable diamond nanocrystals, Chem. Comm. 50, 11307-11310 (2014). 1462. Curtis, A. D. and D. D. Dlott, AUTHORS Dynamics of shocks in laser-launched flyer plates probed by photon Doppler velocimetry, J. Phys. : Conf. Series 500, 192002 (2014). 1461. Shaw, W. L., R. A. Williams, E. L. Dreizin, and D. D. Dlott, Using laser-driven flyer plates to study the shock initiation of nanoenergetic materials, J. Phys. : Conf. Series 500, 182010 (2014). 1460. Chang, Y. Y., Influence of point defects on the elastic properties of mantle minerals and superhard materials, Ph.D. Thesis, Northwestern University (2014). 1459. Finkelstein, G. J., Phase transition in selected silicate minerals at high pressure and room temperature from single crystal x-ray diffraction, Ph.D. Thesis, Princeton University (2014). 1458. O'Neal, K. R., Z. Liu, J. S. Miller, R. S. Fishman, and J. L. Musfeldt, Pressure-driven high to low spin transition in the bimetallic quantum magnet [Ru2(O2CMe)4]3[Cr(CN)6], Phys. Rev. B. 90, 104301 (2014). 1457. Tochigi, E., E. Zepeda-Alarcon, H. R. Wenk, and A. M. Minor, In situ TEM observations of plastic deformation in quartz crystals, Phys. Chem. Minerals 41, 757-765 (2014). 1456. Rainey, E. S. G. and A. Kavner, Peak scaling method to measure temperatures to the laser-heated diamond anvil cell and application to the thermal conductivity of MgO, J. Geophys. Res. 119, 8154-8170 (2014). 1455. Farahi, N., M. VanZant, J. Zhao, J. S. Tse, S. Prabhudev, G. A. Botton, J. R. Salvador, F. Borondics, Z. Liu, and H. Kleinke, Sb- and Bi-doped Mg2Si: Location of the dopants, micro- and nanostructures, electronic structures and thermoelectric properties, Dalton Trans. 43, 14986-14991 (2014). 1454. Liu, D., X. Chen, Y. Ma, Z. Liu, T. Vogt, and Y. Lee, Spectroscopic and computational characterizations of alkaline-earth- and heavy-metal-exchanged natrolites, ChemPlusChem 79, 1066 (2014). 1453. Jeffries, J. R., N. P. Butch, M. J. Lipp, J. A. Bradley, K. Kirshenbaum, S. R. Saha, J. Paglione, C. Kenney-Benson, Y. Xiao, P. Chow, and W. J. Evans, Persisntent Fe moments in the normal-state collapsed-tetragonal phase of the pressure-induced superconductor Ca0.67Sr0.33Fe2As2, Phys. Rev. B 90, 144506 (2014). 1452. Körmann, F., B. Garbowski, B. Dutta, T. Hickel, L. Mauger, B. Fultz, and J. Neugebauer, Temperature dependent magnon-phonon coupling in bcc Fe from theory and experiment, Phys. Rev. Lett. 113, 165503 (2014). 1451. Wang, X., M. Misek, M. K. Jacobsen, and K. V. Kamenev, Use of an advanced composite material in construction of a high pressure cell for magnetic ac susceptibility measurements, High Press. Res. 34, 371-384 (2014). 1450. Clark, A. N., C. E. Lesher, S. D. Jacobsen, and S. Sen, Mechanisms of anomalous compressibility of vitreous silica, Phys. Rev. B 90, 174110 (2014). 1449. Gatta, G. D., S. D. Jacobsen, P. Vignola, G. J. McIntyre, G. Guastella, and L. F. Abate, Single-crystal neutron diffraction and Raman spectroscopic study of hydroxylherderite, CaBePO4(OH,F), Min. Mag. 78, 723-737 (2014). 1448. Chen, B., Z. Li, D. Zhang, J. Liu, M. Y. Hu, J. Zhao, W. Bi, E. E. Alp, Y. Xiao, P. Chow, and J. Li, Hidden carbon in Earth’s inner core revealed by shear softening in dense Fe7C3, Proc. Nat. Acad. Sci. 111, 17755-17758 (2014). 1447. Fabbris, G., Tuning electronic correlation with pressure, Ph.D. Thesis, Washington University in St. Louis (2014). 1446. Najiba, S. H., Pressure and low temperature study of ammonia borane and lithium amidoborane, Ph.D. Thesis, Florida International University (2014). 1445. Harada, Y., I. Katayama, and Y. Kono, Effect of pore fluid pressure on elastic wave velocities of serpentinites, Jpn. Mag. Min. Petrol. Sci. 43, 161-173 (2014). 1444. Kumar, R. S., J. J. Hamlin, M. B. Maple, Y. Zhang, C. Chen, J. Baker, A. L. Cornelius, Y. Zhao, Y. Xiao, S. V. Sinogeikin, and P. Chow, Pressure-induced superconductivity in LaFeAsO: The role of anionic height and magnetic ordering, Appl. Phys. Lett. 105, 251902 (2014). 1443. Laniel, D., L. E. Downie, J. S. Smith, D. Savard, M. Murugesu, and S. Desgreniers, High pressure study of a highly energetic nitrogen-rich carbon nitride, cyanuric triazide, J. Chem. Phys. 141, 234506 (2014). 1442. Samudrala, G. K., G. M. Tsoi, S. T. Weir, and Y. K. Vohra, Structural and magnetic phase transitions in gadolinium under high pressures and low temperatures, High Press. Res. 34, 385-391 (2014). 1441. Tomasino, D., M. Kim, J. Smith, and C. S. Yoo, Pressure-induced symmetry-lowering transition in dense nitrogen to layered polymeric nitrogen (LP-N) with oclossal Raman intensity, Phys. Rev. Lett. 113, 205502 (2014). 1440. Cornelius, A., B. Abeln, D. Antonio, J. Baker, P. E. Kalita, and R. S. Kumar, High pressure materials physics research at UNLV, Materials Science Forum 783-786, 1836 (2014). 1439. Kim, J., V. V. Struzhkin, S. G. Ovchinnikov, Y. Orlov, Y. Shvyd'ko, M. H. Upton, D. Casa, A. G. Gavriliuk, and S. Sinogeikin, Pressure-induced spin transition and evolution of the electronic excitations of FeBO3: Resonant inelastic x-ray scattering results, Europhys. Lett. 108, 37001 (2014). 1438. Liu, J. F., J. Wu, J. Zhu, Z. Mao, A. H. Said, B. M. Leu, J. Cheng, Y. Uwakoto, C. Jin, and J. Zhou, Abnormal elastic and vibrational behaviors of magnetite at high pressures, Sci. Reports 4, 6282 (2014). 1437. Yu, Z., L. Wang, L. Wang, H. Liu, J. Zhao, C. W. Li, S. V. Sinogeikin, W. Wu, J. Luo, N. Wang, K. Yang, Y. Zhao, and H. K. Mao, Conventional empirical law reverses in the phase transitions of 122-type iron-based superconductors, Sci. Reports 4, 7172 (2014). 1436. Zhou, L., N. Shinde, A. Hu, C. Cook, M. Murugesu, and Y. Song, Structural tuning of energetic material bis(1H-tetrazol-5-yl)amine monohydrate under pressure probed by vibrational spectroscopy and x-ray diffraction, J. Phys. Chem. C 118, 26504-26512 (2014). 1435. Wenk, H. R., L. Lutterotti, P. Kaercher, W. Kanitpanyacharoen, L. Miyagi, and R. Vasin, Rietveld texture analysis from synchrotron diffraction images: II. Complex multiphase materials and diamond anvil cell experiments, Powder Diffr. 29, 2220-232 (2014). 1434. Lutterotti, L., R. Vasin, and H. R. Wenk, Rietveld texture analysis from synchrotron diffraction images: I. Calibration and basic analysis, Powder Diffr. 29, 76-84 (2014). 1433. Ahart, M., A. Karandikar, S. A. Gramsch, R. Boehler, and R. J. Hemley, High P-T Brillouin scattering study of H2O melting to 26 GPa, High Press. Res. 34, 327-336 (2014). 1432. Filippousi, M., M. Angelakeris, M. Katsikini, E. Paloura, I. Efthimiopoulos, Y. Wang, D. Zamboulis, and G. Van Tendeloo, Surfactant effects on the structural and magnetic properties of iron oxide nanoparticles, J. Phys. Chem. C 118, 16209-16217 (2014). 1431. Kono, Y., C. Kenney-Benson, D. R. Hummer, H. Ohfuji, C. Park, G. Shen, Y. Wang, A. Kavner, and C. E. Manning, Ultralow viscosity of carbonate melts at high pressures, Nature Comm. 5, 5091 (2014). 1430. Kong, P. P., F. Sun, L. Y. Xing, J. Zhu, S. J. Zhang, W. M. Li, Q. Q. Liu, X. C. Wang, S. M. Feng, X. H. Yu, J. L. Zhu, R. C. Yu, W. G. Yang, G. Y. Shen, Y. S. Zhao, R. Ahuja, H. K. Mao, and C. Q. Jin, Superconductivity in strong spin orbital coupling compound Sb2Se3, Sci. Reports 4, 6679 (2014). 1429. Stinton, G. W., S. G. MacLeod, H. Cynn, D. Errandonea, W. J. Evans, J. E. Proctor, Y. Meng, and M. I. McMahon, Equation of state and high-pressure/high-temperature phase diagram of magnesium, Phys. Rev. B 90, 134105 (2014). 1428. Velisavljevic, N., M. K. Jacobsen, and Y. K. Vohra, Structural phase stability in nanocrystalline titanium to 161 GPa, Mat. Res. Express 1, 035044 (2014). 1427. Yan, H., C. Park, G. Ahn, S. M. Hong, D. T. Keane, C. Kenney-Benson, P. Chow, Y. Xiao, and G. Shen, Termination and hydration of forsteritic olivine (0 1 0) surface, Geochim. Cosmochim. Acta 145, 268-280 (2014). 1426. Yang, F., Y. Lin, J. E. P. Dahl, R. M. K. Carlson, and W. L. Mao, Deviatoric stress-induced phase transitions in diamantane, J. Chem. Phys. 141, 154305 (2014). 1425. Ahart, M., S. Kojima, Y. Yasuda, and R. J. Hemley, Successive pressure-induced structural transitions in relaxor lead indum niobate, Ferroelectrics 467, 138-145 (2014). 1424. Errandonea, D. and R. S. Kumar, High-pressure structural transformations of PbCrO4 up to 51.2 GPa: An angle-dispersive synchrotron x-ray diffraction study, Mater. Res. Bull. 60, 206-211 (2014). 1423. Huang, F., Q. Zhou, L. Li, X. Huang, D. Xu, F. Li, and T. Cui, Structural transition of MnNb2O6 under quasi-hydrostatic pressure, J. Phys. Chem. C 118, 19280-19286 (2014). 1422. Huang, X., D. Duan, F. Li, Y. Huanng, L. Wang, Y. Liu, K. Bao, Q. Zhou, B. Liu, and T. Cui, Structural stability and compressive behavior of ZrH2 under hydrostatic pressure and nonhydrostatic pressure, RSC Adv. 4, 46780 (2014). 1421. Jeffries, J. R., L. S. I. Veiga, G. Fabbris, D. Haskel, P. Huang, N. P. Butch, S. K. McCall, K. Holliday, Z. Jenei, Y. Xiao, and P. Chow, Robust ferromagnetism in the compressed permanent magnet Sm2Co17, Phys. Rev. B 90, 104408 (2014). 1420. Kothpalli, K., E. Kim, T. Kolodziej, P. F. Weck, E. E. Alp, Y. Xiao, P. Chow, C. Kenney-Benson, Y. Meng, S. N. Tkachev, A. Kozlowski, B. Lavina, and Y. Zhao, Nucleaer forward scattering and first-principles studies of the iron oxide phase Fe4O5, Phys. Rev. B 90, 024430 (2014). 1419. Laguna-Marco, M. A., G. Fabbris, N. M. Souza-Neto, S. S. Chikara, J. S., C. Gao, and D. Haskel, Different response of transport and magnetic properties of BaIrO3 to chemical and physical pressure, Phys. Rev. B 90, 014419 (2014). 1418. Pravia, M., D. Sneed, M. White, and Y. Wang, Note: Loading method of molecular fluorine using x-ray induced chemistry, Rev. Sci. Instrum. 85, 086110 (2014). 1417. Seoung, D., Y. Lee, H. Cynn, C. Park, K. Y. Choi, D. A. Blom, W. J. Evans, C. C. Kao, T. Vogt, and Y. Lee, Irreversible xenon insertion into a small-pore zeolite at moderate pressures and temperatures, Nature Chem. 6, 835-839 (2014). 1416. Tracy, S. J., L. Mauger, H. J. Tan, Muñoz, Y. M. Xiao, and B. Fultz, Polaron-ion correlations in LixFePO4 studied by nuclear resonant scattering at elevated pressure and temperature, Phys. Rev. B 90, 094303 (2014). 1415. Vilaplanna, R., R. Lacomba-Perales, O. Gomis, D. Errandonea, and Y. Meng, Quasi-hydrostatic x-ray powder diffraction study of the low- and high-pressure phases of CaWO4 up to 28 GPa, Solid State Sci. 36, 16-23 (2014). 1414. Wang, K., J. Liu, K. Yang, B. Liu, and B. Zou, High-pressure-induced reversible phase transition in sulfamide, J. Phys. Chem. C 118, 18640-18645 (2014). 1413. Wang, S., X. Yu, J. Zhang, Y. Zhang, L. Wang, K. Leinenweber, H. Xu, D. Popov, C. Park, W. Yang, D. He, and Y. Zhao, Crystal structures, elastic properties, and hardness of high-pressure synthesized CrB2 and CrB4, J. Superhard Mater. 36, 279-287 (2014). 1412. Wang, W., S. Wang, D. He, and J. Xu, Pressure induced phase transition of PbNiO3 from LiNbO3-type to perovskite, Solid State Comm. 196, 8-12 (2014). 1411. Zhang, F. X., M. Lang, C. Tracy, R. C. Ewing, D. J. Gregg, and G. R. Lumpkin, Incorporation of uranium in pyrochlore oxides and pressure-induced phase transitions, J. Solid State Chem. 219, 49-54 (2014). 1410. Zhao, Z., C. Meng, P. Li, W. ZHu, Q. Wang, Y. Ma, G. Shen, L. Bai, H. He, D. He, D. Yu, J. He, B. Xu, and Y. Tian, Carbon coated face-centered cubic Ru-C nanoalloys, Nanoscale 6, 10370-10376 (2014). 1409. Saxena, S. K. and R. Hrubiak, Mapping the nebular condensates and the chemical composition of the terrestrial planets, Earth Planet. Sci. Lett. 393, 113-119 (2014). 1408. Park, S. Y., M. Lang, C. L. Tracy, J. Zhang, F. W. Zhang, C. Trautmann, P. Kluth, M. D. Rodriguez, and R. C. Ewing, Swift heavy ion irradiation-induced amorphization of La2Ti2O7, Nucl. Instr. Meth. Phys. Res. B 326, 145-149 (2014). 1406. Shaw, W. L., D. D. Dlott, R. A. Williams, and E. L. Dreizin, Ignition of nanocomposite thermites by electric spark and shock wave, Propell. Energ. Pyrotech. 39, 444-453 (2014). 1405. Mauger, L., M. S. Lucas, J. A. Munoz, S. J. Tracy, M. Kresch, Y. Xiao, P. Chow, and B. Fultz, Nonharmonic phonons in α-iron at high temperatures, Phys. Rev. B 90, 064303 (2014). 1404. Dahn, R., D. Popov, P. Schaub, P. Pattinson, D. Gromilund, U. Mader, A. Jenni, and E. Wieland, X-ray micro-diffraction studies of heterogeneous interfaces between cementitious materials and geological formations, Phys. Chem. Earth A/B/C 70-71, 96-103 (2014). 1403. Shaw, W. L. Curtis, A. D., A. A. Banishev, and D. D. Dlott, Laser-driven flyer plates for shock compression spectroscopy, J. Phys. : Conf. Series 500, 142011 (2014). 1402. Berg, C. M., Y. Sun, and D. D. Dlott, Temperature-dependent dynamic response to flash heating of molecular monolayers on metal surfaces: Vibrational energy exchang, J. Phys. Chem. B 118, 7770-7779 (2014). 1401. Berg, C. M., Y. Sun, and D. D. Dlott, Picosecond dynamics of shock-compressed and flash-heated nanometer thick films of HMX, J. Phys. : Conf. Series 500, 142004 (2014). 1400. Smith, R. F., J. H. Eggert, R. Jeanloz, T. S. Duffy, D. G. Braun, J. R. Patterson, R. E. Rudd, J. Biener, A. E. Lazicki, A. V. Hamza, J. Wang, T. Braun, L. X. Benedict, P. M. Celliers, and G. W. Collins, Ramp compression of diamond to five terapascals, Nature 511, 330-333 (2014). 1399. Smith, S. J., M. M. Bishop, J. M. Montgomery, T. P. Hamilton, and Y. K. Vohra, Polymorphism in paracetamol: Evidence of additional forms IV and V at high pressure, J. Phys. Chem. 118, 6068-6077 (2014). 1398. Chellappa, R., D. M. Dattelbaum, J. Coe, N. Velisavljevic, L. Stevens, and Z. Liu, Intermolecular stabilization of 3,3'-diamino-4,4'azoxyfurazen (DAAF) compressed to 20 GPa, J. Phys. Chem. A 118, 5969-5982 (2014). 1397. O'Neal, K. R., T. V. Brinzari, J. B. Wright, C. Ma, S. Giri, J. A. Schlueter, Q. Wang, P. Jena, Z. Liu, and J. L. Musfeldt, Pressure-induced magnetic crossover driven by hydrogen bonding in CuF2(H2O)2(3-chloropyridine), Sci. Reports 4, 6054 (2014). 1396. Wong, J., A. Mailman, K. Lekin, S. M. Winter, W. Yong, J. Zhao, S. Garimella, J. Tse, R. A. Secco, S. Desgreniers, Y. Ohishi, F. Borondics, and R. T. Oakley, Pressure induced phase transition and metallization of a neutral radical conductor, J. Am. Chem. Soc. 136, 1070-1081 (2014). 1395. Wu, X., F. Ma, C. Ma, H. Cui, Z. Liu, H. Zhu, X. Wang, and Q. Cui, Pressure-driven variations of hydrogen bonding energy in ammonium azide (NH4N3): IR absorption and Raman scattering studies, J. Chem. Phys. 141, 024703 (2014). 1394. Yang, H., L. Martinelli, F. Tasso, A. R. Sprocati, F. Pinzari, Z. Liu, R. T. Downs, and H. J. Sun, A new biogenic, struvite-related phosphate, the ammonium-analog of hazenite (NH4)NaMg2(PO4)2.14H2O, Am. Mineral. 99, 1761-1766 (2014). 1393. Ernst, W. G. and R. J. Hemley, Francis Raymond Boyd, JR., January 30, 1936-January 12, 2004, in Biographical Memoirs of the National Academy of Sciences (National Academies Press, Washington, DC, 2014). 1392. Ahart, M., S. Kojima, Y. Yasuda, and R. J. Hemley, Successive pressure-induced structural transitions in relaxor lead indum niobate, Ferroelectrics 467, 138-145 (2014). 1391. Xi, X., C. Ma, Z. Liu, Z. Chen, W. Ku, H. Berger, C. D. Martin, D. B. Tanner, and G. L. Carr, Signatures of a pressure-induced topological quantum phase transition in BiTeI, Phys. Rev. Lett. 111, 155701 (2014). 1390. Chen, B., K. Lutker, J. Lei, J. Yan, S. Yang, and H. K. Mao, Detecting grain rotation at the nanoscale, Proc. Nat. Acad. Sci. 111, 3350-3353 (2014). 1389. Wang, S., A. F. Kemper, M. Baldini, M. C. Shapiro, S. C. Riggs, Z. Zhao, Z. Liu, T. P. Devereaux, T. H. Geballe, I. R. Fisher, and W. L. Mao, Bandgap closure and reopening in CsAuI3 at high pressure, Phys. Rev. B 89, 245109 (2014). 1388. Schmandt, B., S. D. Jacobsen, T. W. Becker, Z. Liu, and K. G. Dueker, Dehydration melting at the top of the lower mantle, Science 344, 1265-1268 (2014). 1387. Bishop, M. M., R. S. Chellappa, Z. Liu, D. N. Preston, M. M. Sandstrom, D. M. Dattelbaum, Y. K. Vohra, and N. Velisavljevic, High pressure-temperature polymorphism of 1,1-diamino-2,2-dinitroethylene, J. Phys. : Conf. Series 500, 052005 (2014). 1386. Bandaru, N., R. S. Kumar, J. Baker, O. Tschauner, T. Hartmann, Y. Zhao, and R. Venkat, Structural stability of WS2 under high pressure, Int. J. Mod. Phys. B 28, 1450168 (2014). 1385. Manley, M. E., J. R. Jeffries, H. Lee, N. P. Butch, A. Zabalegui, and D. L. Abernathy, Multiple high-temperature transitions driven by dynamical structures in NaI, Phys. Rev. B 89, 224106 (2014). 1384. Strobel, T. A., O. O. Kurakevych, D. Y. Kim, Y. Le Godec, W. Crichton, J. Guignard, N. Guignot, G. D. Cody, and A. R. Oganov, Synthesis of β-Mg2C3: A monolithic high-pressure polymorph of magnesium sesquicarbide, Inorg. Chem. 53, 7020-7027 (2014). 1383. Feldman, J. L., D. J. Singh, and N. Bernstein, Lattice dynamical model for filled skutterudite LaFe4Sb12: Harmonic and anharmonic couplings, Phys. Rev. B 89, 224304 (2014). 1382. Liang, Q., C. S. Yan, J. Lai, Y. F. Meng, S. Krasnicki, H. Shu, H. K. Mao, and R. J. Hemley, Large area single crystal diamond synthesis by 915 MHz microwave plasma-assisted chemical vapor deposition, Cryst. Growth Design 14, 3234-3238 (2014). 1381. Freiman, Y. A., S. M. Tretyak, A. Grechnev, A. F. Goncharov, and R. J. Hemley, Crystal field phenomena in hexagnal close-packed H2 and D2 at high pressures, Phys. Rev. B 90, 024501 (2014). 1380. Kalita, P. E., A. Cornelius, K. E. Lipinska, S. V. Sinogeikin, R. X. L. Fischer, H., and H. Schneider, High pressure behavior of 7:4 mullite and boron-substituted mullite: Compressibility and mechanisms of amorphization, J. Am. Ceram. Soc. 1-10, 34627 (2014). 1379. Pandey, K. K., J. Gyanchandani, M. Somayazulu, G. K. Gey, S. M. Sharma, and S. K. Sikka, Reinvestigation of high pressure polymorphism in hafnium metal, J. Appl. Phys. 115, 233513 (2014). 1378. Liu, J., J. F. Lin, A. Alatas, and W. Bi, Sound velocities of bcc-Fe and Fe0.85Si0.15 alloy at high pressure and temperature, Phys. Earth Planet. Inter. 233, 24-32 (2014). 1377. Ye, Y., C. Gu, S. H. Shim, Y. Meng, and V. Prakapenka, The postspinel boundary in pyrolitic compositions determined in the laser-heated diamond anvil cell, Geophys. Res. Lett. 41, 3833-3841 (2014). 1376. Bowden, P. R., R. S. Chellappa, D. M. Dattelbaum, V. W. Manner, N. H. Mack, and Z. Liu, The high-pressure phase stability of 2,4,6-trinitrotoluene (TNT), J. Phys. : Conf. Series 500, 052006 (2014). 1375. Zhang, L., Y. Meng, W. Yang, L. Wang, W. L. Mao, Q. S. Zeng, J. S. Jeong, A. J. Wagner, K. A. Mkhoyan, W. Liu, R. Xu, and H. K. Mao, Disproportionation of (Mg,Fe)SiO3 perovskite in Earth's deep lower mantle, Science 344, 877-882 (2014). 1374. Chellappa, R., D. M. Dattelbaum, L. L. Daemen, and Z. Liu, High pressure spectroscopic studies of hydrazine (N2H4), J. Phys. : Conf. Series 500, 052008 (2014). 1373. Baker, J., R. S. Kumar, N. Velisavljevic, C. Park, C. Kenney-Benson, Y. Kono, A. Cornelius, and Y. Zhao, In situ x-ray diffraction, electrical resistivity and thermal measurements using a Paris-Edinburgh cell at HPCAT 16BM-B beamline, J. Phys. : Conf. Series 500, 142003 (2014). 1372. Lipp, M. J., Z. Jenei, D. Ruddle, C. Aracne-Ruddle, H. Cynn, W. J. Evans, Y. Kono, C. Kenney-Benson, and C. Park, Equation of state measurements by radiography provide evidence for a liquid-liquid phase transition in cerium, J. Phys. : Conf. Series 500, 032011 (2014). 1371. Velisavljevic, N., S. V. Sinogeikin, R. Saavedra, R. Chellappa, A. Rothkirch, D. M. Dattelbaum, Z. Konopkova, H. P. Liermann, M. Bishop, G. M. Tsoi, and Y. K. Vohra, Time-resolved x-ray diffraction and electrical resistance measurements of structural phase transitions in zirconium, J. Phys. : Conf. Series 500, 032020 (2014). 1370. Pravica, M., D. Sneed, Y. Wang, Q. Smith, and G. Subrahmanyam, Carbon tetrachloride under extreme conditions, J. Chem. Phys. 140, 194503 (2014). 1369. Zhao, Z., S. Wang, A. R. Oganov, P. N. Chen, Z. Liu, and W. L. Mao, Tuning the crystal structure and electronic states of Ag2Se: Structure transitions and metallization under pressure, Phys. Rev. B 89, 180102 (2014). 1368. Zhao, Z., S. Wang, T. F. Qi, Q. Zeng, S. Hirai, P. P. Kong, L. Li, C. Park, S. J. Yuan, C. Q. Jin, G. Cao, and W. L. Mao, Pressure induced second-order structural transition in Sr3Ir2O7, J. Phys. : Cond. Matt. 26, 215402 (2014). 1367. Potter, R., M. Somayazulu, G. Cody, and R. J. Hemley, Raman spectroscopy, x-ray diffraction, and hydrogenation thermochemistry of N,N,N,N-tetramethylcyclotriborazane under pressures, J. Phys. Chem. C 118, 9871-9879. 1366. Kaercher, P., Crystallographic preferred orientation and deformation of deep Earth minerals, Ph.D. Thesis, University of California - Berkeley (2014). 1365. Chang, Y. Y., S. D. Jacobsen, M. Kimura, T. Irifune, and I. Ohno, Elastic properties of transparent nano-polycrystalline diamond measured by GHz-ultrasonic interferometry and resonant sphere methods, Phys. Earth Planet. Inter. 228, 47-55 (2014). 1364. Chen, J. Y., M. Kim, C. S. Yoo, H. P. Liermann, and W. J. Evans, Time-resolved x-ray diffraction across water – ice VI/VII transformations using dynamic-DAC, J. Phys. : Conf. Series 500, 142006 (2014). 1363. Tomasino, D. and C. S. Yoo, Probing dynamic crystal growth of compressed hydrogen using dynamic-DAC, time-resolved spectroscopy and high-speed micro-photography, J. Phys. : Cond. Matt. 500, 032019 (2014). 1362. Rozsa, V. F. and T. A. Strobel, Triple guest occupancy and negative compressibility in hydrogen-loaded b-hydroquinone clathrate, J. Phys. Chem. 5, 1880-1884 (2014). 1361. Zhang, S., X. Wang, J. Zhu, C. Jin, H. Gong, and L. Li, The microstructure and ferroelectricity of BiScO3-PbTiO3 nanoceramics at morphotropic phase boundaries, Scripta Mater. 82, 45-48 (2014). 1360. Zeng, Q., Y. Kono, Y. Li, Z. Zeng, J. Wang, S. V. Sinogeikin, C. Park, Y. Meng, W. Yang, H. K. Mao, and W. L. Mao, Universal fractional noncubic power law for density of metallic glasses, Phys. Rev. Lett. 112, 185502 (2014). 1359. Pravica, M., B. Hulsey, L. Bai, D. Sneed, Q. Smith, and G. Guardala, Studies in useful hard x-ray photochemistry: Decomposition of potassium halates, J. Phys. : Conf. Series 500, 022009 (2014). 1358. Nayak, A. P., S. Bhattacharyya, J. Zhu, J. Liu, X. Wu, T. Pandey, C. Jin, A. K. Singh, D. Akinwande, and J. F. Lin, Pressure-induced semiconducting to metallic transition in multilayered molybdenum disulphide, Nature Comm. 5, 3731 (2014). 1357. Liu, L., Y. Kono, C. Kenney-Benson, W. Yang, Y. Bi, and G. Shen, Chain breakage in liquid sulfur at high pressure and high temperature, Phys. Rev. B 89, 174201 (2014). 1356. Berg, C., Shock compression and flash-heating of molcular adsorbates on the picosecond time scale, Ph.D. Thesis, University of Illinois at Urbana-Champaign (2014). 1355. Banishev, A. A., W. L. Shaw, and D. D. Dlott, Dynamics of polymer response to nanosecond shock compression, Appl. Phys. Lett. 104, 101914 (2014). 1354. Curtis, A. D., A. A. Banishev, W. L. Shaw, and D. D. Dlott, Laser-driven flyer plates for shock compression science: launch and target impact probed by photon Doppler velocimetry, Rev. Sci. Instrum. 85, 043908 (2014). 1353. Kono, Y., C. Park, C. Kenney-Benson, G. Shen, and Y. Wang, Toward comprehensive studies of liquids at high pressures and high temperatures: Combined structure, elastic wave velocity, and viscosity measurements in the Paris-Edinburgh cell, Phys. Earth Planet. Inter. 228, 269-280 (2014). 1352. Gu, T., Y. Fei, X. Wu, and S. Qin, High-pressure behavior of Fe3P and the role of phosphorus in planetary core, Earth Planet. Sci. Lett. 390, 296-303 (2014). 1351. Uhoya, W., D. Cargill, K. Gofryk, G. M. Tsoi, Y. K. Vohra, A. S. Sefat, and S. T. Weir, High pressure effects of the superconductivity in rare-earth-doped CaFe2As2, High Press. Res. 34, 49-58 (2014). 1350. Tracy, C. L., J. M. Pray, M. Lang, D. Popov, C. Park, C. Trautmann, and R. C. Ewing, Defect accumulation in ThO2 irradiated with switft heavy ions, Nucl. Instr. Meth. Phys. Res. B 326, 169-173 (2014). 1349. 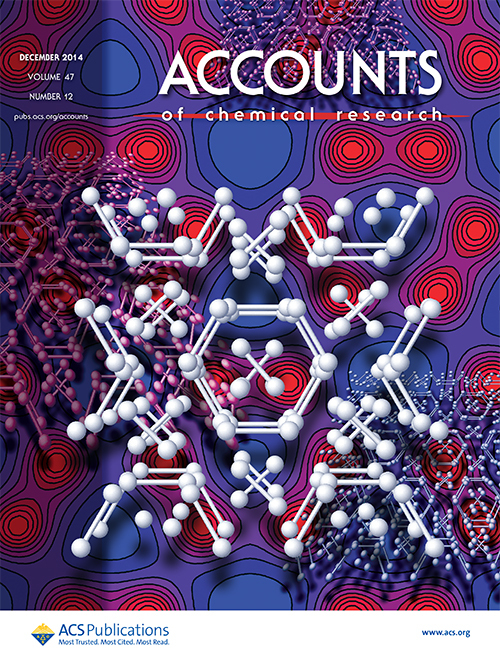 Ma, C., O. Tschauner, Y. Liu, J. R. Beckett, G. R. Rossman, K. Zhuravlev, V. Prakapenka, P. Dera, S. V. Sinogeikin, J. Smith, and L. Taylor, Discovery of ahrensite ɣ-Fe2SiO4 and tissintite (Ca,Na,Vc)AlSi2O6: Two new high pressure minerals from the tissint martian meteorite, in Lunar and Planetary Science Conference XXXXV (eds. S. Mackwell and Stansbery, E.), 1222 (Lunar and Planetary Institute, 2014). 1348. Geballe, Z. M. and R. Jeanloz, Solid phases of FeSi to 47 GPa and 2800 K: New data, Am. Mineral. 99, 720-723 (2014). 1347. Dera, P., M. Manghnani, A. Hushur, Y. Hu, and S. N. Tkachev, New insights into the enigma of boron carbide inverse, J. Solid State Chem. 215, 85-93 (2014). 1346. Li, Z., J. Wang, L. Wang, X. Bai, H. Song, Q. Zhou, T. Wei, D. An, and B. Liu, The pressure induced amorphization and behavior of octahedron in Y2O3/Eu3+ nanotubes, Mat. Res. Express 1, 025013 (2014). 1345. Jing, Z., Y. Wang, Y. Kono, T. Yu, T. Sakamaki, C. Park, M. L. Rivers, S. R. Sutton, and G. Shen, Sound velocity of Fe-S liquids at high pressure: Implications for the Moon's molten outer core, Earth Planet. Sci. Lett. 396, 78-87 (2014). 1344. Zhou, M., K. Wang, Z. Men, C. Sun, Z. Li, B. Liu, G. Zou, and B. Zou, Pressure-induced isostructural phase transition of a metal-organin framework Co2(4,4'-bpy)3(NO3)4.xH2O, Cryst. Eng. Comm. 16, 4084-4087 (2014). 1343. Haberl, B., M. Guthrie, B. D. Malone, J. S. Smith, S. V. Sinogeikin, M. L. Cohen, J. S. Williams, G. Shen, and J. E. Bradlby, Controlled formation of metastable germanium polymorphs, Phys. Rev. B 89, 144111 (2014). 1342. Uhoya, W., G. M. Tsoi, Y. K. Vohra, A. S. Sefat, and S. T. Weir, Pressure-induced superconductivity and structural transitions in Ba(Fe0.9Ru0.1)2As2, Euro. Phys. J. B 87, 68 (2014). 1341. Zhang, J. S., S. Shieh, J. D. Bass, P. Dera, and V. Prakapenka, High-pressure single-crystal elasticity study of CO2 across phase I-III transition, Appl. Phys. Lett. 104, 141901 (2014). 1340. Yang, F., Y. Lin, J. E. P. Dahl, R. M. K. Carlson, and W. L. Mao, High pressure Raman and x-ray diffraction study of  tetramantane, J. Phys. Chem. C 118, 7683-7689 (2014). 1339. Potter, R. G., M. Somayaulu, G. Cody, and R. J. Hemley, High pressure equilibria of dimethylamine borane, dihydridobis(dimethylamine)boron(III) tetrahydridoborate(III), and hydrogen, J. Phys. Chem. C 118, 7280-7287 (2014). 1338. Palasyuk, T., I. A. Troyan, M. Eremets, V. Drozd, S. Medvedev, P. Zaleski-Ejgierd, E. Magos-Palasyuk, H. Wang, S. A. Bonev, D. Dudenko, and P. Naumov, Ammonia as a case study for the spontaneous ionization of a simple hydrogen-bonded compound, Nature Comm. 5, 3460 (2014). 1337. Li, Q., S. Li, K. Wang, J. Liu, B. Liu, K. Yang, and B. Zou, Pure hexagonal phase of EuF3 modulated by high pressure, J. Phys. Chem. C 118, 7562-7568 (2014). 1336. Efthimiopoulos, I., J. Kemichick, X. Zhou, S. V. Khare, D. Ikuta, and Y. Wang, High-pressure studies of Bi2S3, J. Phys. Chem. A 118, 1713-1720 (2014). 1335. Dong, H., S. M. Dorfman, C. M. Holl, Y. meng, V. B. Prakapenka, D. He, and T. S. Duffy, Compression of lithium fluoride to 92 GPa, High Press. Res. 34, 39-48 (2014). 1334. Hooper, J. T., T., A. Shamp, and E. Zurek, The composition and constitution of compressed strontium polyhydrides, J. Phys. Chem. 118, 6433-6447 (2014). 1333. Lavina, B., P. Dera, and R. T. Downs, Modern x-ray diffraction methods in mineralogy and geosciences, Rev. Min. Geochem. 78, 1-31 (2014). 1332. Lee, S. K., P. J. Eng, and H. K. Mao, Probing of pressure-induced bonding transitions in crystalline and amorphous earth materials: Insights from x-ray Raman scattering at high pressure, Rev. Min. Geochem. 78, 139-174 (2014). 1331. Shen, G. and Y. Wang, High-pressure apparatus integrated with synchrotron radiation, Rev. Min. Geochem. 78, 745-777 (2014). 1330. Bandaru, N., R. S. Kumar, D. Sneed, O. Tschauner, J. Baker, D. Antonio, S. N. Luo, T. Hartmann, Y. Zhao, and R. Venkat, Effect of pressure and temperature on structural stability of MoS2, J. Phys. Chem. C 118, 3230-3235 (2014). 1329. Ding, Y., C. C. Chen, Q. Zeng, H. S. Kim, M. J. Han, M. Balasubramanian, R. Gordon, F. Li, L. Bai, D. Popov, S. M. Heald, T. Gog, H. K. Mao, and M. van Veenendaal, Novel high-pressure monoclinic metallic phase of V2O3, Phys. Rev. Lett. 112 (2014). 1328. Mao, Z., J. F. Lin, J. Yang, J. Wu, H. C. Watson, Y. Xiao, P. Chow, and J. Zhao, Spin and valence states of iron in Al-bearing silicate glass at high pressures studied by synchrotron Mossbauer and x-ray emission spectroscopy, Am. Mineral. 99, 415-423 (2014). 1327. Sakamaki, T., Y. Kono, Y. Wang, C. Park, T. Yu, Z. Jing, and G. Shen, Contrasting sound velocity and intermediate-range structural order between polymerized and depolymerized silicate glasses under pressure, Earth Planet. Sci. Lett. 391, 288-295 (2014). 1326. Stemshorn, A., Devitrification of iron based metallic glasses at high pressures and temperatures, Ph.D. Thesis, University of Alabama at Birmingham (2014). 1325. Wang, S., J. Zhang, J. Yan, X. J. Chen, V. V. Struzhkin, W. Tabis, N. Barisic, M. K. Chan, C. Dorow, X. Zhao, M. Greven, W. L. Mao, and T. Geballe, Strain derivatives of Tc in HgBa2CuO4+δ: The CuO2 plane alone is not enough, Phys. Rev. B 89, 024515 (2014). 1324. Yang, W., F. J. Jia, L. Y. Tang, L. J. Li, Z. A. Xu, and X. J. Chen, Structure feature controlling superconductivity in compressed BaFe2As2, J. Appl. Phys. 115, 083915 (2014). 1323. Doherty, M. W., V. V. Struzhkin, D. A. Simpson, L. P. McGuinness, Y. Meng, A. Stacey, T. J. Karle, R. J. Hemley, N. B. Manson, L. C. L. Hollenberg, and S. Prawer, Electronic properties and metrology of the diamond NV- center under pressure, Phys. Rev. Lett. 112, 047601 (2014). 1322. Kumar, R. S., Y. Zhang, A. Thamizhavel, A. Svane, G. Vaitheeswaran, V. Kanchana, Y. Xiao, P. Chow, C. Chen, and Y. Zhao, Pressure induced valence change of Eu in EuFe2As2 at low temperature and high pressures probed by resonant inelastic x-ray scattering Appl. Phys. Lett. 104, 042601 (2014). 1321. Liu, Y., J. Wang, M. Azuma, W. L. Mao, and W. Yang, Five-dimensional visualization of phase transition in BiNiO3 under high pressure, Appl. Phys. Lett. 104, 043108 (2014). 1320. Wang, Y., T. Sakamaki, L. B. Skinner, Z. Jing, T. Yu, Y. Kono, C. Park, G. Shen, M. L. Rivers, and S. R. Sutton, Atomistic insight into viscosity and density of silicate melts under pressure, Nature Comm. 5, 3241 (2014). 1319. Xie, M., B. Winkler, Z. Mao, R. B. Kaner, A. Kavner, and S. H. Tolbert, Raman scattering of superhard rhenium diboride under high pressure, Appl. Phys. Lett. 104, 011904 (2014). 1318. Dattelbaum, D. M., R. S. Chellappa, P. R. Bowden, J. D. Coe, and M. A. Margevicius, Chemical stability of molten 2,4,6-trinitrotoluene at high pressure, Appl. Phys. Lett. 104, 021911 (2014). 1317. Efthimiopoulos, I., A. Yaresko, V. Tsurkan, J. Deisenhofer, A. Loidl, C. Park, and Y. Wang, Pressurising the HgCr2Se4 spinel at room temperature, Appl. Phys. Lett. 104, 011911 (2014). 1316. Elkin, F. S., I. P. Zibrov, A. P. Novikov, S. S. Khasanov, V. A. Sidorov, A. E. Petrova, T. A. Lograsso, J. D. Thompson, and S. M. Stishov, Thermodynamics of the ferromagnetic phase transition in nearly half metallic CoS2 at high pressures, Solid State Comm. 181, 41-45 (2014). 1315. Lin, J. F., E. E. Alp, and A. F. Goncharov, Raman and nuclear resonant spectroscopy in geosciences, in Treatise on geochemistry, Second Edition 207, 195-211 (2014). 1314. Lu, X., W. Yang, Z. Quan, T. Lin, L. Bai, L. Wang, H. Fuqiang, and Y. Zhao, Enhanced electron transport in Nb-doped TiO2 nanoparticles via pressure-induced phase transitions, J. Am. Chem. Soc. 136, 419-426 (2014). 1313. Wu, J. J., J. F. Lin, X. C. Wang, Q. Q. Liu, J. L. Zhu, Y. M. Xiao, P. Chow, and C. Q. Jin, Magnetic and structural transitions of SrFe2As2 at high pressure and low temperature, Sci. Reports 4, 3685 (2014). 1312. Liu, J., J. F. Lin, Z. Mao, and V. B. Prakapenka, Thermal equation of state and spin transition of magnesiosiderite at high pressure and temperature, Am. Mineral. 99, 84-93 (2014). 1311. Finkelstein, G. J., P. K. Dera, S. Jahn, A. R. Oganov, C. M. Holl, Y. Meng, and T. S. Duffy, Phase transition and equation of state of foresterite to 90 GPa from single-crystal x-ray diffraction and molecular modeling, Am. Mineral. 99, 35-43 (2014).